Stock your vending machines with name brand beverages sure to attract business. Juices, gatorade, and bottled water are big sellers in the vending industry. Clement Pappas Aluminum Can Cranberry Cocktail Juice - 5.5 Oz. Clement Pappas Apple Juice Aluminum Can - 5.5 Oz. 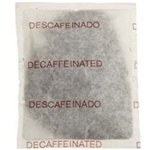 Eastern Bromley Decaffeinated Bags Tea - 1 Oz. 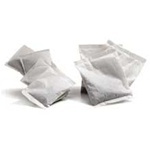 Eastern Bromley Orange Pekoe Tea - 1 Oz. Florida Natural Bluebird Tomato Juice - 5.5 Oz. Florida Natural Bluebird Unsweetened Apple Juice - 5.5 Oz. Izze Beverage Fortified Apple Can - 8.4 Oz. Kraft Capri Sun Apple Splash Beverage - 6 Oz. Kraft Capri Sun Berry Breeze Beverage - 6 Oz. Kraft Capri Sun Fruit Punch Beverage - case of 40 - 6 Oz. Kraft Capri Sun Fruit Dive Beverage - 6 Oz. Kraft Capri Sun Orange Beverage - 6 Oz. Kraft Capri Sun Strawberry Kiwi Beverage - 6 Oz. Kraft Capri Sun Wild Cherry Beverage - 6 Oz. Kraft Crystal Light On The Go Raspberry Green Beverage - 3.6 Oz. Kraft Crystal Light Fruit Punch Beverage - 1.8 Oz. Kraft Crystal Light Iced Tea Beverage - 1.4 Oz. Kraft Crystal Light Raspberry Ice Beverage - 1.8 Oz. Kraft Crystal Light Strawberry Kiwi Beverage - 1.9 Oz. Kraft Crystal Light On The Go Iced Tea Drink - 2.4 Oz. Kraft Crystal Light On The Go Peach Drink - 2.7 Oz. Kraft Crystal Light Lemonade Mix - 2.2 Oz. Kraft Crystal Light Pineapple Orange Beverage Mix - 1.7 Oz. Nestle Dark Chocolate Hot Cocoa Mix Beverage - 0.71 Oz. Nestle Hot Cocoa Mix Rich Chocolate Beverage - 0.71 Oz. Ocean Spray No Thaw Cran Grape Cranberry Juice Drink - 4 Oz. Ocean Spray No Thaw Diet Cranberry Juice Drink - 4 Oz. Pepsico Gatorade Fruit Punch Drink - 11.6 Oz. Pepsico Gatorade Lemon Lime Drink - 11.6 Oz. Pepsico Gatorade Orange Drink - 11.6 Oz. Pepsico Seasons Best Cranberry Juice Cocktail - 10 Oz. Pepsico Seasons Best Cranberry Ruby Red Juice - 10 Oz. Pepsico Seasons Best Apple Juice - 10 Oz. 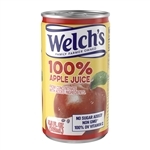 Welchs 100 Percentage Apple Juice - 5.5 Oz. 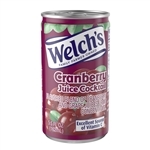 Welchs Cranberry Cocktail Juice - 5.5 Oz. Capri Sun Beverage 100 Percent Apple Juice - 6 oz.